If you need a custom frame for your images, Here it is! 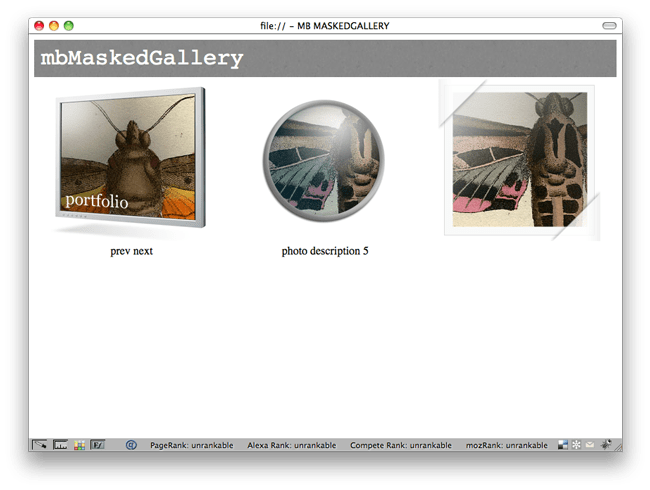 you can slide images inside your custom mask, add cotrols for navigation, action and description for each image! ← jquery.mb.menu 2.8.5 is out!